While our time at Bill & Coo was brief, the memories we made were anything but. 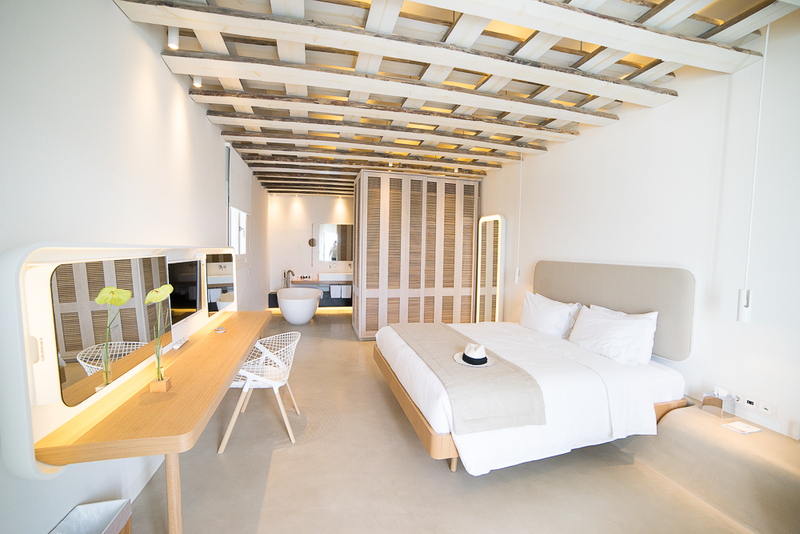 This luxury boutique property could be the blueprint of how to do 5 star hotels; minimalist, understated, magical. Bill and Coo Suites and Lounge is part of The Leading Hotels of the World group and you don’t have to look far to understand why. 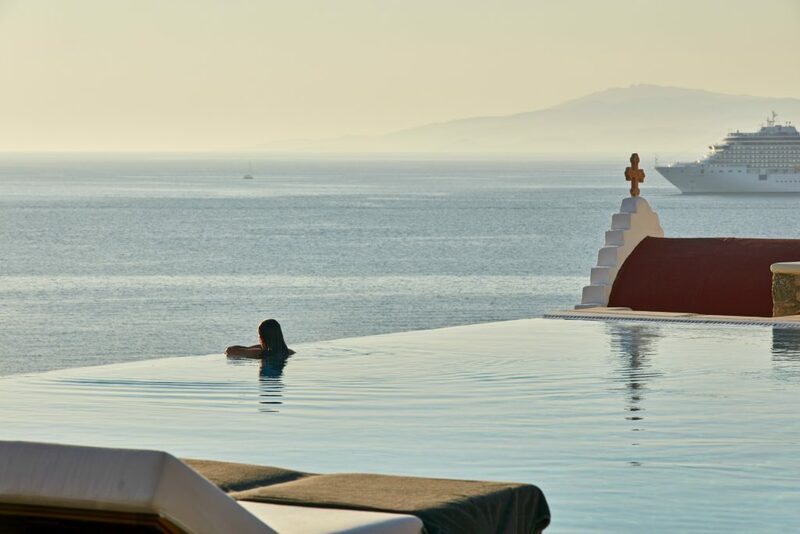 From the moment you walk into the lobby you’re met with the stylish combination of glass and wood decor, through reception the hotel’s crowning glory awaits; an infinity pool that looks out over the Aegean Sea making it at times difficult to see where the sea starts and the pool ends. The rooms are similarly as impressive. After a tour of the room we were handed our own tablet, which controls everything from the air con, right down to the blinds and ambient lighting. Rooms at Bill & Coo also come equipped with a mobile phone that is yours for the duration of your stay and is pre-loaded with all the information needed. They encourage you to take them out on your daily travels and if you need anything at any time wherever you are, they will get it to you, not bad service at all! The staff are meticulous to detail, frequently making up sun loungers with fresh towels and keeping you topped up with complimentary glasses of chilled water throughout the day. After leisurely breakfasts, we spent our days relaxing in the pool, playing cards and people watching, (Bill & Coo is a popular celebrity hang out) and enjoyed the cool, but unpretentious vibes of the hotel. 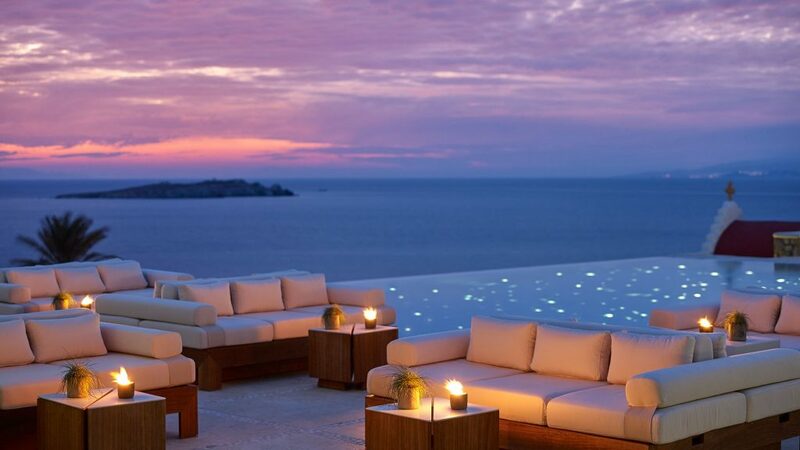 Come sunset the loungers are transformed into sofas where you can take in the views across the ocean with a cocktail in hand. 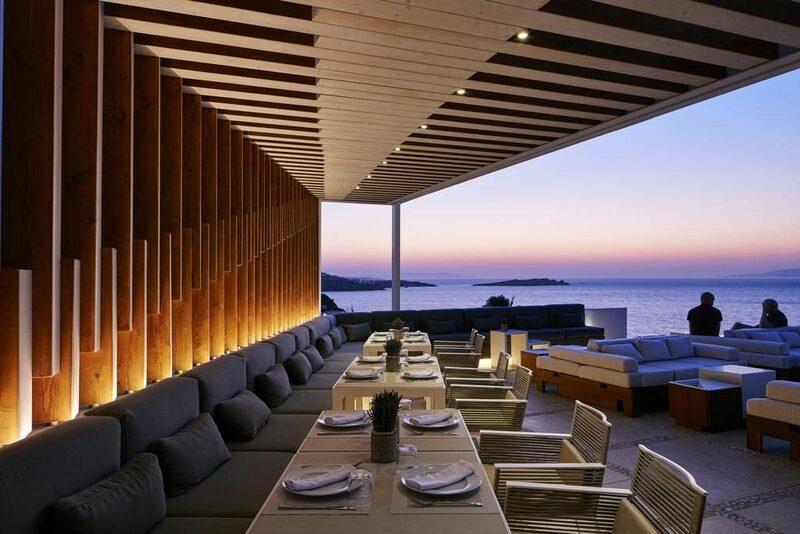 Our last evening in Mykonos was spent at Bill & Coo and there was no better place to end our magical trip. We ordered drinks from the bar, an Old Fashioned for him and red wine for me and watched the sunset before the pool spectacularly lit up to mimic the stars above. 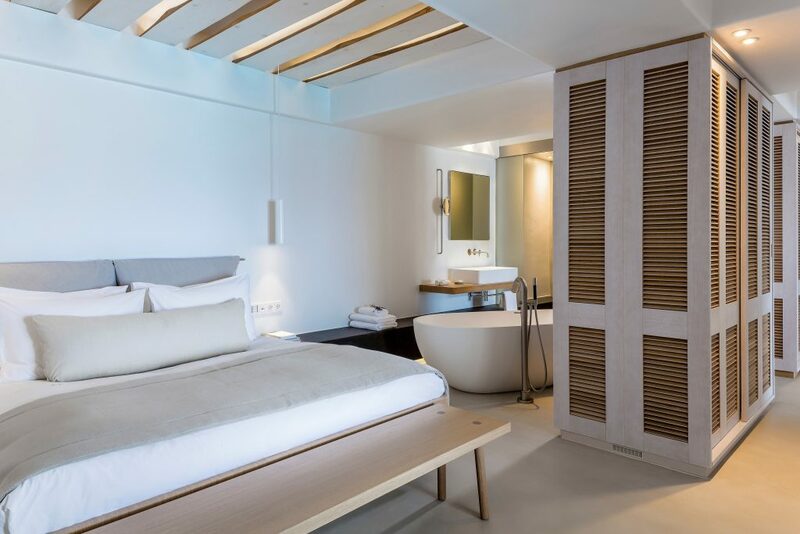 This place has rocketed to the top of our ‘must return to’ list as it is everything that we at look for in a hotel: luxury mixed with an home away from home vibe. 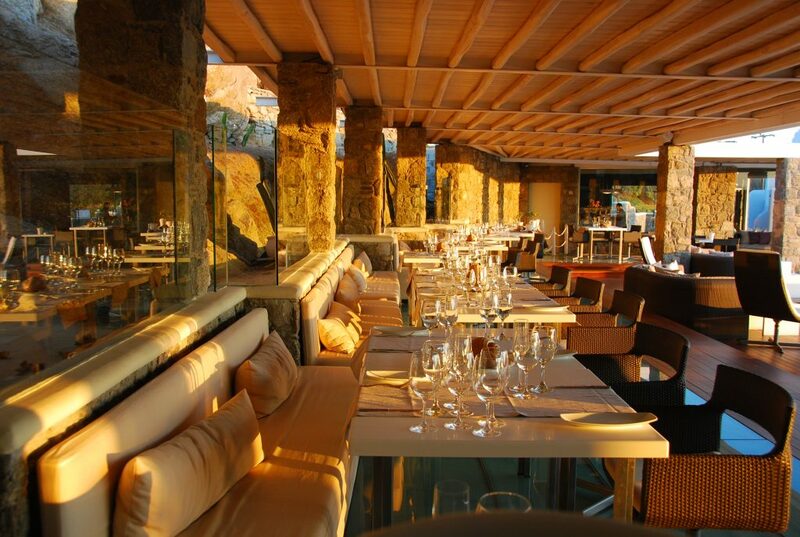 It’s not pretentious, yet the staff treat you (and everybody else) like royalty. 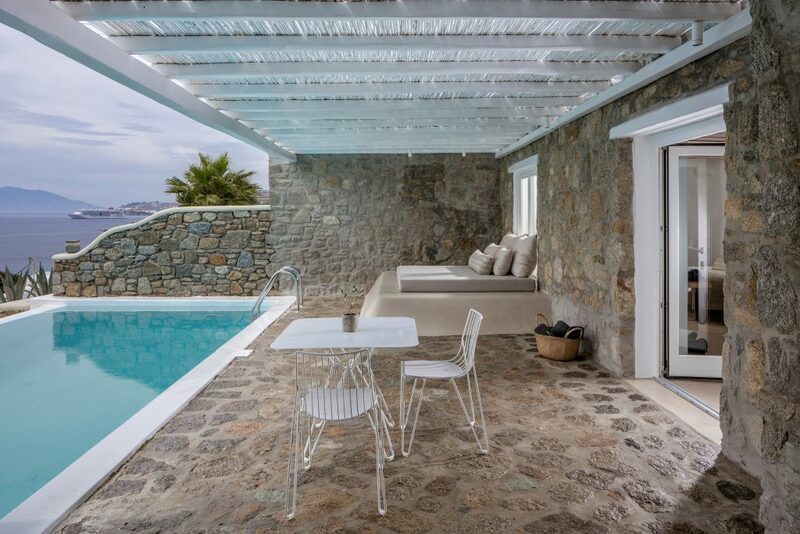 We can’t wait for the Bill and Coo Coast suits to open so that we can book in our next visit to Mykonos, but more importantly, so that can once again experience the Bill and Coo Way Of Life.